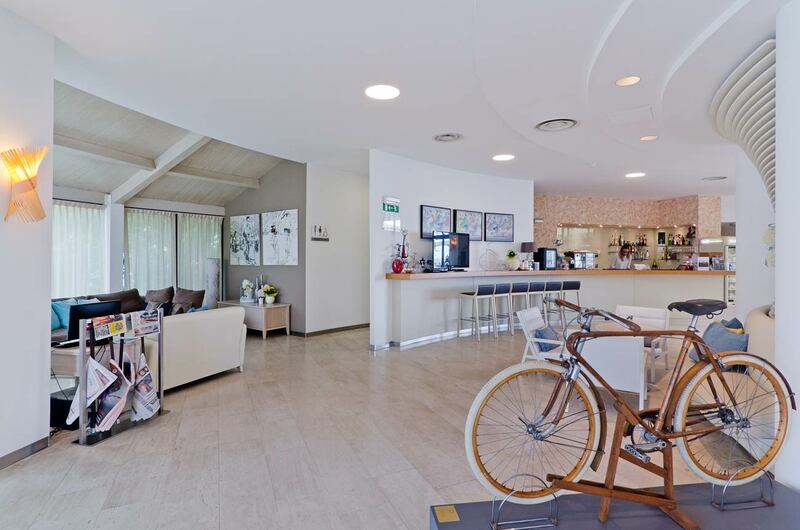 Hospitality, comfort, attention to every detail make Hotel Riviera dei Fiori in San Lorenzo al Mare, province of Imperia in Liguria, a real paradise for those in search of a holiday out of the ordinary. The structure is of great charm, characterized by a unique pagoda architecture of its kind. 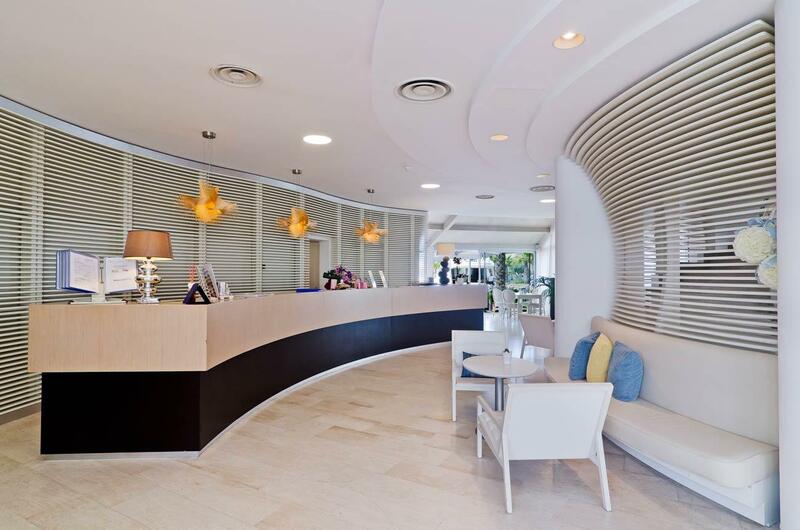 The Hotel Riviera dei Fiori is a four-star hotel, located within the marina of Marina di San Lorenzo in San Lorenzo al Mare, in the province of Imperia on the Ligurian sea. 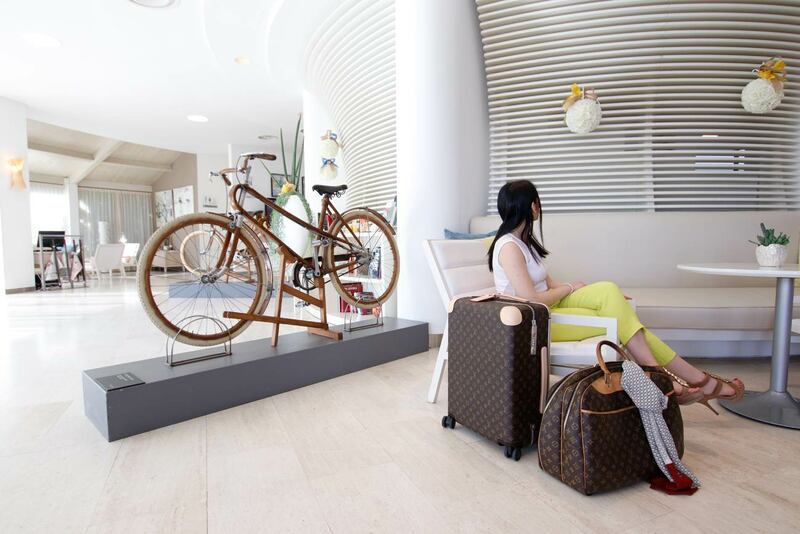 It consists of 39 rooms, complete with the most modern amenities, directly overlooking the hotel's private beach or harbour and surrounded by greenery. On the ground floor there is a bar with outdoor area directly on the beach and another small dehor overlooking the quay. 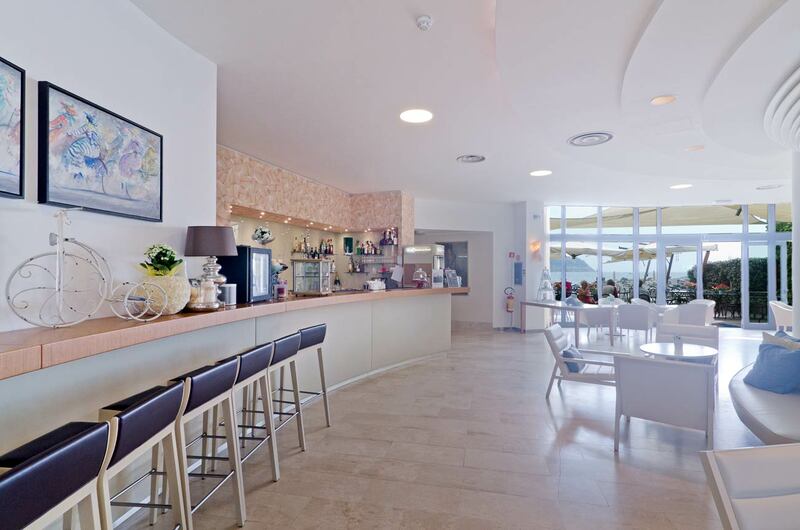 On the top floor there is the Camelias restaurant, with the circular hall and with a splendid view of the sea. 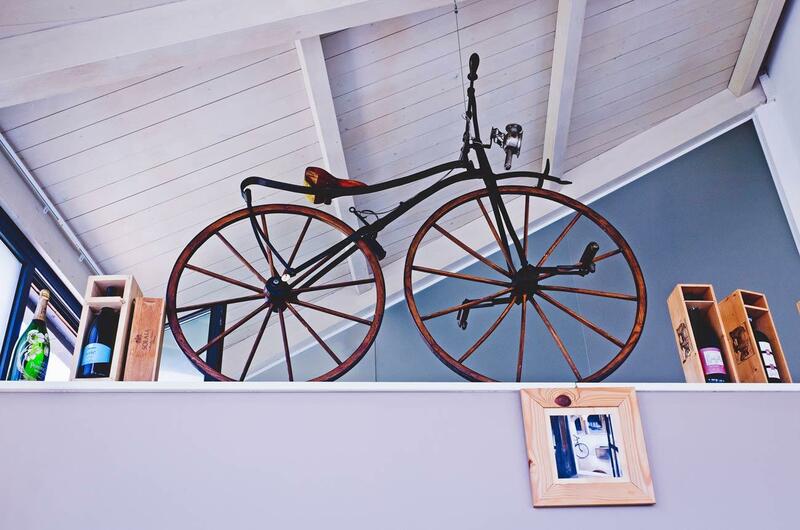 Several vintage bicycles dating back to the late nineteenth century, unique models of inestimable value, belonging to the private collection "On the Bicycle" are the main theme of the fine furnishings. Pets are welcome and accepted at the Hotel Riviera dei Fiori, only if kept in the room or on the terrace of the room. They are not allowed in communal areas. As for access to the beach, the Hotel does not have a dedicated space, but a few kilometres away there is a beach for dogs. Parking for hotel guests is included in the hotel rate. The Hotel Riviera dei Fiori, in the province of Imperia, was born from a dream, that of the honourable Gianni Cozzi, a forward-looking Ligurian entrepreneur, who first planned the tourist transformation of the province of Imperia, creating a nautical-based service network , hotel accommodation, wellness centres and golf courses. 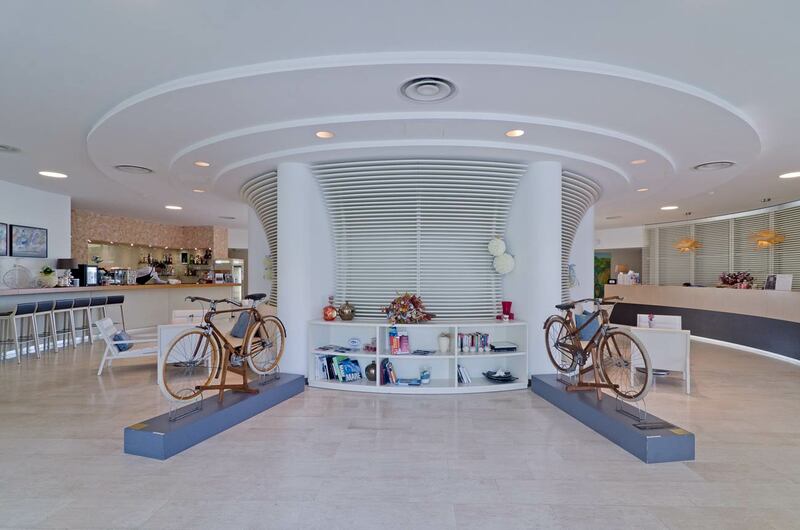 A hotel with a unique and fascinating structure, built in the heart of Western Liguria, next to another intuition of Cozzi, a 24 km cycle route that connects San Lorenzo Marina , Marina degli Aregai and Portosole. 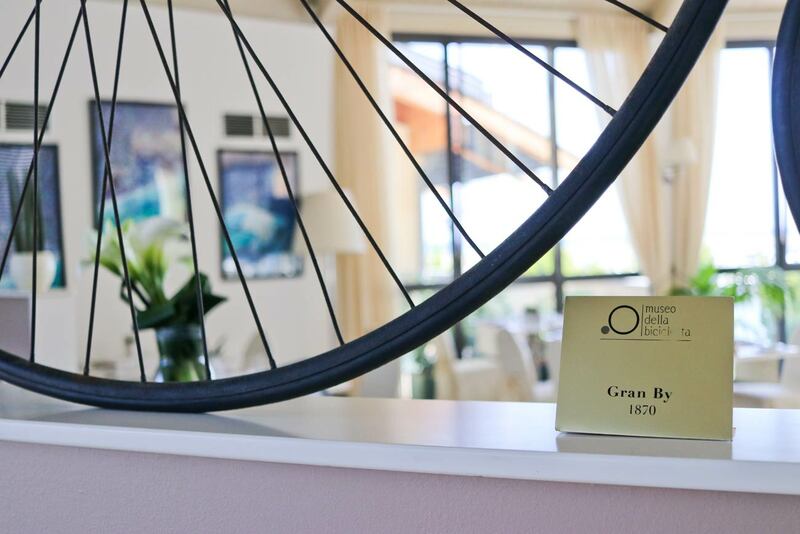 The imprint of Gianni Cozzi is also clearly visible in the interior decoration of the hotel, where there are some rare specimens coming from his priceless collection of old two-wheeled vehicles, collected in the Bicycle Museum. Discover the pleasure of starting the day with new energy thanks for the fabulous hotel breakfasts.